This is a quick overview with a video of the Reading Warfare show I attended on both days over this weekend. 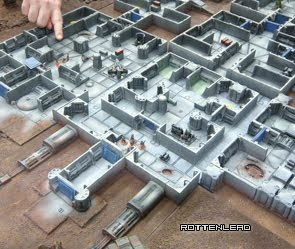 I managed to run eight participation games of the Gruntz 15mm SCI-FI wargame. After learning from the last show game I put on in SELWG, I decided to reduce the number of figures on the table to keep people focused on the core rules. The scenario played involved a beach head assault against a New Israeli target (Ground Zero Games Models). The Kra'vak force had Grav vehicles and needed to destroy a factory unit toward the centre of the battlefield. This provided some interesting engagements where the defending New Israeli's could focus and mass fire on the incoming Kra'Vak but the Kra'Vak aliens needed to be more selective with targeting because of their ultimate objective of knocking out the building. Playing eight games gave me some great insight into how people play and what they assume about moves and terms. Everyone appeared to pick up the basic rules very quickly. Thanks very much to the various players that came along and tried the game. Also thanks to Ray for supporting the game over the weekend, which saved me from many interruptions when we hit the busy times. Also note that I have a couple of shots from around the show, including the GZG booth and some nice looking Vietnam war river craft in the video. Nice....where does that Madcat come from? Look for Museum scale Mechs. They only do four of them: "Atlas, Vulture, Zeus and Madcat/Timberwolf". 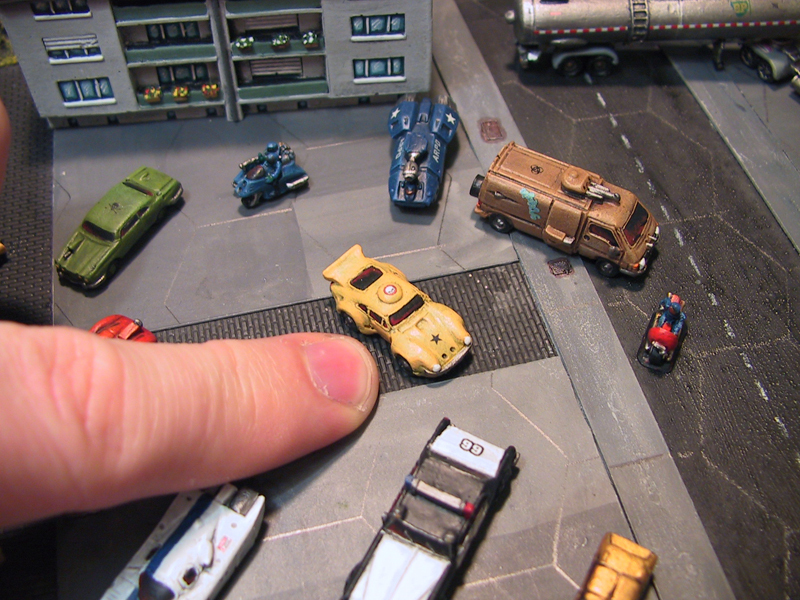 They are much larger and more expensive than the small models. Was a great game and look forward to playing the rules again.